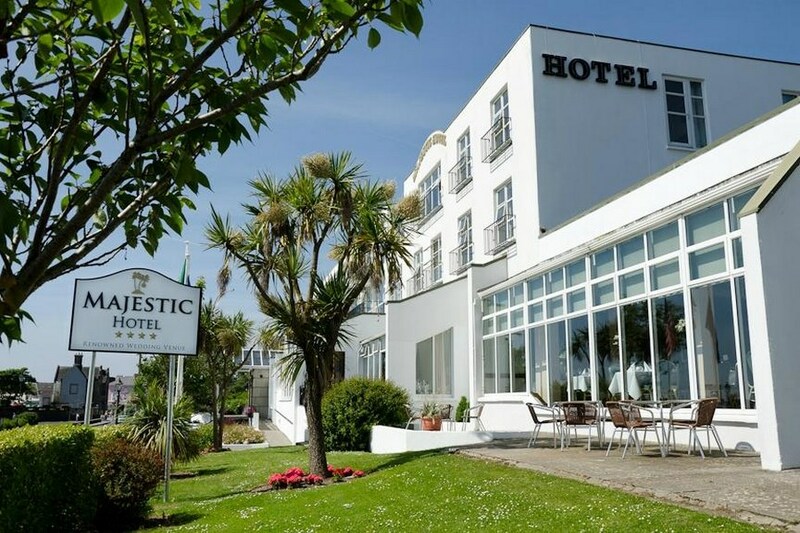 The Majestic Hotel in the Sunny South East of Ireland, overlooking Tramore Bay and its 5km of golden beach, and less than 10km from Waterford city. 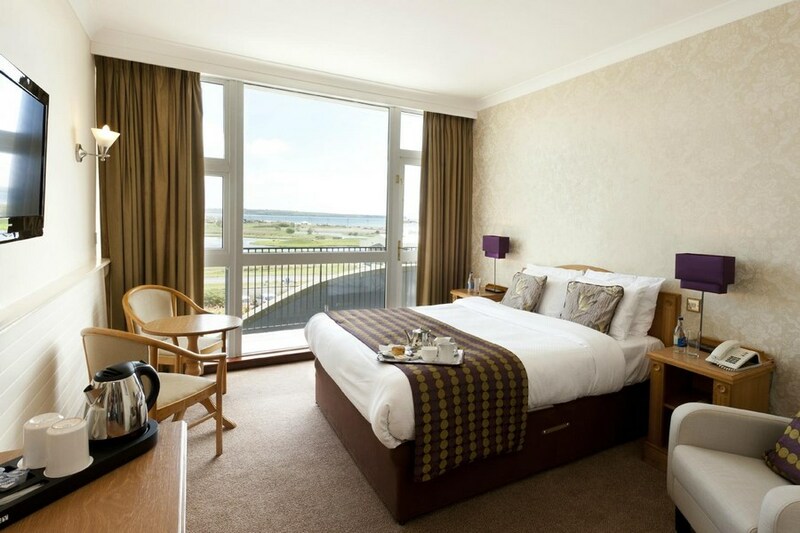 Stay at the Majestic Hotel, Tramore, and you will be guaranteed a great hospitality experience. The perfect location for your overnight or extended stay when visiting Waterford. From Dublin, take the N11 to Waterford and R675 to Tramore. From Cork, take the N25 towards Waterford and branch off at R672 to Tramore. From Limerick/Shannon take the N24 to Waterford and branch off at R672 to Tramore. 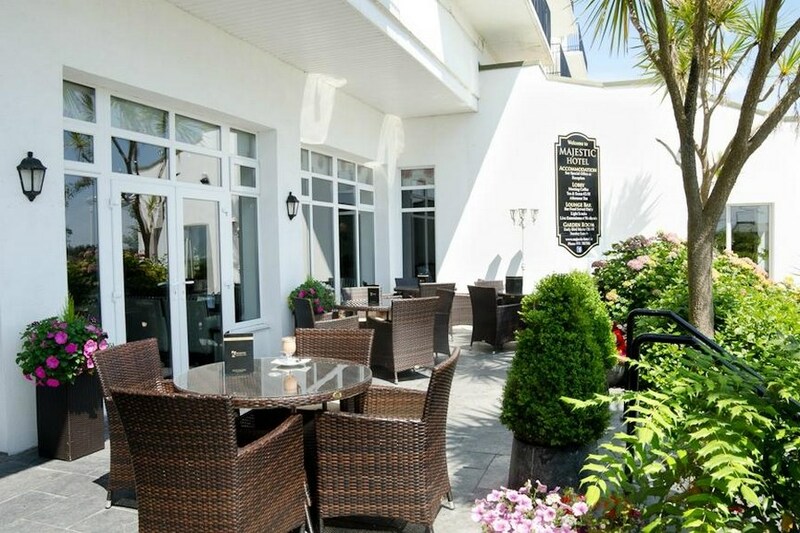 The hotel is located on the main road into Tramore opposite the sea. Tramore is Ireland's premier seaside resort with 5km of golden beach. As a seaside resort, our amenities include sea and freshwater angling, canoeing, diving, surfing and sailing. We also have an excellent indoor swimming pool and leisure complex Splashworld across from the hotel. Tramore's famous amusement park is especially popular with children. Lovely hotel. Rooms very clean. Had breakfast in lovely dining room, Breakfast served at table which was excellent, and waitress so very very nice and helpful. Overall we had lovely visit, however did think receptionist at check in , not very very friendly. Overall hotel was pleasant and staff were friendly. The food referring to the dinner was very poor. The menu looked okay but the food presented was not as described and just about Sunday home cooking standard. The red wine jus was simply Bisto gravy granules! Lovely hotel room was just right food was lovely and the price very acceptable.staff very helpful and pleasant. Staff friendly and helpful, enjoyed our stay, food was excellent will use this Hotel again. Lov.ely relaxing break. Great room with balcony and sea-view. Food excellent. Having stayed in the Majastic before I can say the staff are simply the best in every aspect of their care for people staying in the hotel. The hotel is in a prime position with beautiful views of the bay. The food is of very good quality and very well presented. There are plenty of nice walks in the area and a trip to Dunmore East is recommended. I was there for the Saint Patricks weekend and there was music in the hotel on Friday and Saturday night sadly it was not supported by local patronage and it lacked atmosphere. However I would return again to the Majistic in the near future. Nice hotel with pleasant and friendly staff. Rooms were clean and tidy but could do with some improvements to their bath/shower area. We had a great time and dinner food was delicious. They could do with more options for breakfast and I was dissappointed that I had to pay €5 each day for my 3 year old to eat of my breakfast plate, he barely ate a euros worth and didn't actually have a plate or order anything. great weekend lovely hotel fantastic staff very helpful breakfast and evening meal were gorgeous going to book again for next march ?? just a great weekend !!! Had a enjoyable stay at the majestic. Setting is lovely , we had a balcony room which was lovely. Staff are excellent. Food is good for a 3 star hotel. Great location to explore Waterford . Only negative was the noise at night. We had a 20 month old with us who was woken up firstly by a very loud wedding party and secondly by a graduation party. We were kept awake both nights until 3am . I felt the hotel could of controlled the loud sing alongs in the garden/patio area a little better. I would go back again but only if I knew there was no functions on . Lovely hotel, very clean, staff very helpfull. we had a lovely balcony romm overlooking the sea it was lovely. food was very nice. Would go back again. First time at the Majestic Hotel. It was clean and the food was really good, staff also very nice and helpful. Had room with fab view of the sea. Would highly recommend a visit. I have just returned from an overnight stay with my sister we stayed in a twin room with sea view. I have to say it was very relaxing all the staff were very very nice from the reception to bar staff to dining room staff. the food was very nice also. If I had to complain about anything it would be the room could do with a freshen up with paint but everything else was very nice.If I was asked if I would return to this hotel the answer would be a definite yes. Took a 1 night dinner/bed/breakfast at the Majestic Hotel Tramore. Hotel was very good and close to the seafront and entertainment. Dinner menu was somewhat limited but what we got we enjoyed. Staff were extremely friendly and helpful. Easily recognised the term Coeliac and looked after my wifes requirements. would recommend this hotel to anyone. NOt our first time but it will be our last. The halls were run by screaming adults and children at 2am, there was a loud drumming noise outside our bedroom windows from 11pm and the breakfast was cold and absolutely disgusting. The staff at breakfast leave a lot to be desired. HI, WE really had a lovely break in the MAJESTIC HOTEL, fantastic value,the food was first class,and the staff very helpful and friendly,their was no music in the hotel on saturday night which dissapointed us, the rooms were also clean and comfortable.